Imagine a chlorinator that runs on traditional salt, or any mineral salt blend you choose. That’s exactly what you get with the EcoBlend® chlorinator. It works with traditional salt, mineral salt blends, magnesium chloride blends, and any other commercially available salt blend. Made of premium materials and packed with useful features, the EcoBlend® chlorinator provides best in class performance and maximum reliability. It’s the most advanced chlorinator in the market. The EcoBlend® chlorinator uses the most up to date self-cleaning technology known as 'reverse polarity'. The factory-set cell reversals shed off any calcium build up to ensure minimal maintenance. 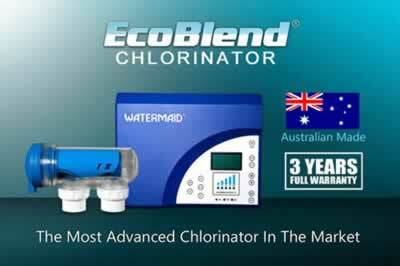 To suit your chlorination needs, the EcoBlend® chlorinator can be operated in summer, winter or spa mode. The EcoBlend® chlorinator is compatible with traditional salt, mineral salt blends, magnesium chloride blends, and any other commercially available salt blend. 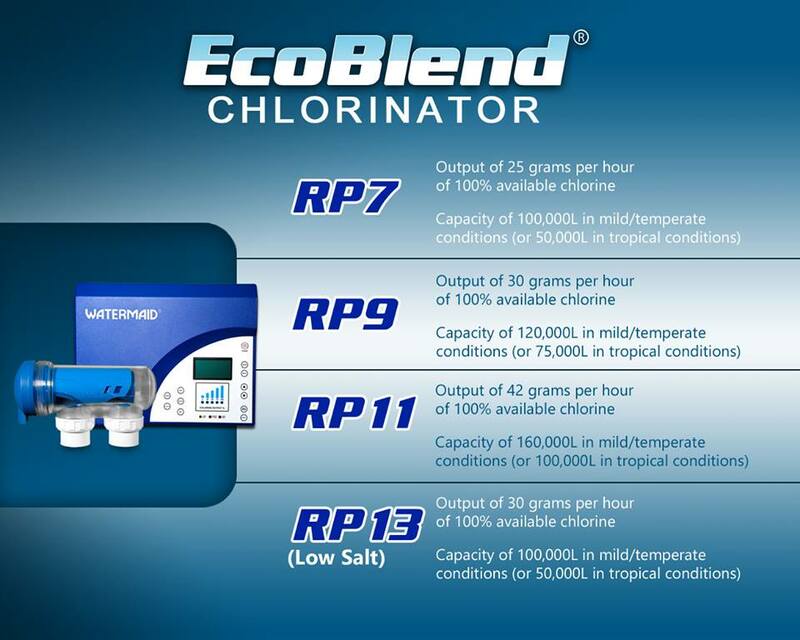 For Ultra Low Salt - please refer to the EcoBlend® RP-13 model. This useful feature is designed to help prevent accidental pump damage by automatically cutting power to the pump if the water flow is compromised. A dealer recently installed an EcoBlend® chlorinator for a customer who's pool was turning green - he was blown away by the results! "The chlorine output on this thing is huge. My pool was sparkling again within a few hours. It’s a beast!" Watch the video to see the EcoBlend® cell in action.